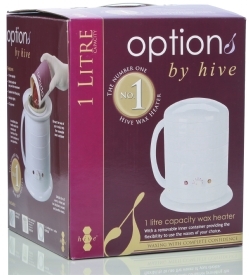 This professional 1 Litre (1000cc) capacity Wax Heater is specifically designed for use with depilatory warm and hot waxes for salon perfect hair removal or luxurious paraffin heat therapy treatments. 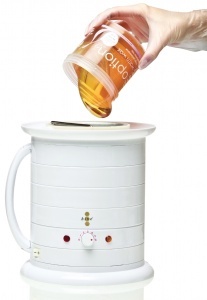 Holds 1 litre, excellent when a large amount of wax needs to be heated. 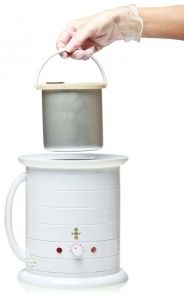 Includes Locking Lid, Removable Locking Base & Collar. Includes Inner Container with Handle & Scraper Bar. On/Off Power & Thermostat Indicator Light. Waxes must be decanted into the inner container for use. Suitable for the heating warm, crème and hot wax for depilatory hair removal and paraffin waxes for paraffin heat therapy treatments.